New York’s LVL UP keeps good company. Having released records on both Exploding In Sound and Double Double Whammy—labels that have released records by Speedy Ortiz, Mitski, and Pile—the four-piece has a place alongside the Northwest’s budding indie-rock bands. 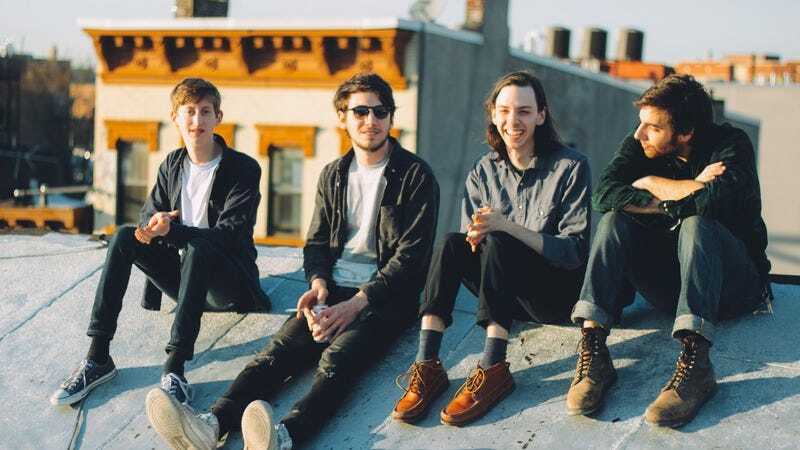 For its upcoming 7-inch release, aptly titled Three Songs, LVL UP joins Boston’s Run For Cover Records, which takes on the band’s most mystical work year as a co-release with Double Double Whammy. The A.V. Club is streaming all of Three Songs below, and along with the dates from the band’s upcoming tour is a quote from the band explaining how to best enjoy Three Songs. But even if you don’t have the requisite candles, or the setting for such an intimate calm, the songs are still worth hearing. Pre-orders for Three Songs are available through Run For Cover and Double Double Whammy.